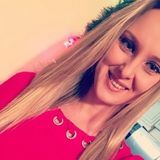 Want to connect with Angelika? I believe children are very fun and loving but you just have to know how to make them feel comfortable and show them that you are there for them. I worked at a daycare, had a classroom of 8 children whom were toddlers 1-3 years old. I am attending University of New Haven (Master's Program Online), graduating in December of 2019. I cared for families part time and full time, if you need any references please don't hesitate to ask. I am known for keeping children busy with fun art and craft activities that I create on my own. I tend to do a weekly topic where we learn about a subject and do different activities within that one subject. It changes based on the week we are on, the weather, the month and so on. I am here not to only make your life easier but to make sure your children see me as part of the family and know that I am always there for them.